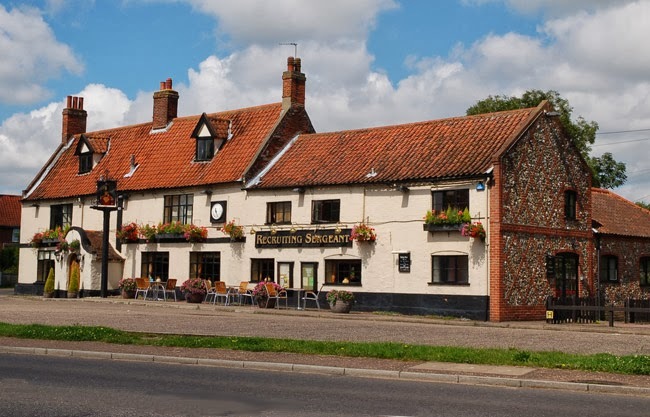 The Recruiting Sergeant is an award winning Pub and Restaurant with Rooms situated in the village of Horstead, near Coltishall, in Norfolk. Matthew and Nicola Colchester and their dedicated team have developed an enviable reputation in the area and the pub is well known for its food quality, friendliness and attention to detail. • Booking essential. We look forward to welcoming you! We are fortunate to have many and varied footpaths and walks on our doorstep in Horstead and Coltishall in the Norfolk Broads. 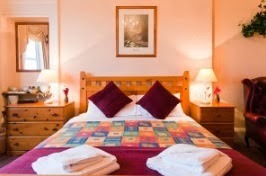 The Oaks Hotel offers Bed and Breakfast or Dinner, bed and breakfast in large, well furnished rooms which are en-suite with bath/shower facilities. Large, flat TV’s, coffee and tea making facilities and free WiFi. Here we welcome Families to stay in our very accommodating Family Rooms. Dogs also enjoy their stay at The Oaks and return regularly. Woods, Forests and an abundance of wildlife, a walker’s paradise of hills and valleys, rivers and streams. Here you can also enjoy Fishing, Horse riding and Golf, Northumberland can boast of 33 golf courses, each one differently unique. Copperfield Lodge is a fine Georgian style family home situated on a hillside at the edge of the village of Apse Heath. It offers fine views of the Downs and Culver Cliffs and is one mile from Shanklin and Sandown with their sandy beaches, facilities and attractions. We are well situated for guests wishing to tour the Island as well as for walkers and cyclists. 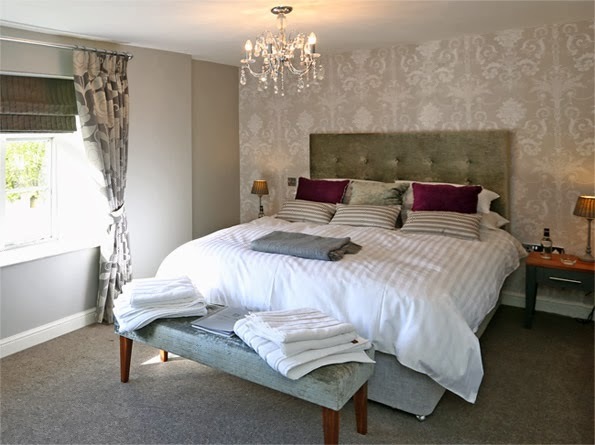 Our home is decorated and furnished to a high standard, which extends to the comfortable en-suite guest bedrooms with their colour televisions, tea and coffee making facilities and central heating. Your full and ample breakfast, vegetarian if required, will be served in the dining room, where French windows open onto the large gardens, which guests are welcome to enjoy and which are frequented by a good selection of wild birds and the occasional red squirrel. We welcome bikers, walkers and cyclists and are able to offer garage parking for bikes as well as ample car parking in the grounds. Jan and Roy look forward to welcoming you to their home. 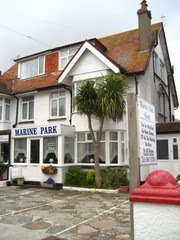 You will be sure a warm and friendly welcome at the Marine Park a small family run Guest House, situated between Preston and Paignton sea front and within easy reach of all amenities. 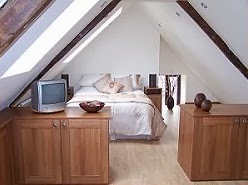 The seven guest bedrooms are comfortably furnished some having en-suites. All rooms have hair dryers shaver point, digital television and tea making facilities. High chairs and cots are available on request. Iron and ironing board also available on request. Contractors are welcome P.O.A. Each morning a home cooked full English breakfast is served between 8 and 9am. Marine Park is close to all local amenities with Paignton town centre just a few minutes walk away, where you will find a good selection of places to eat, the local cinema and shops. Whenever you visit you are assured a warm welcome and friendly atmosphere from Sue and Pete Hickling. 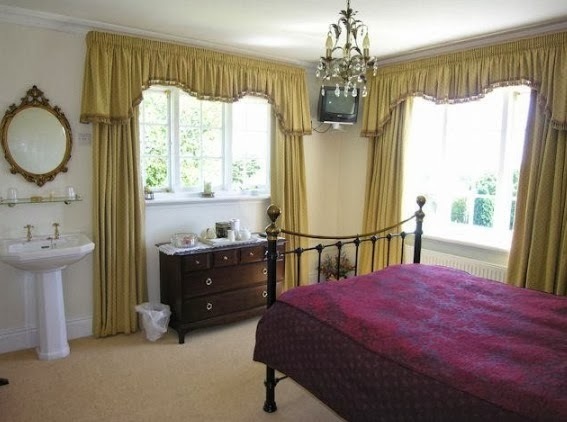 With an official Visit England 4 stars accreditation and an additional silver accolade, The Westgate is an elegant, late Victorian villa that retains its period charms. Superbly centrally located in a leafy conservation area near Torre Abbey, we're well placed to explore Torquay and the wider attractions of the English Riviera – South Devon's beautiful bay. Whether visiting Edinburgh for business or pleasure, enjoy bed and breakfast in a relaxed and friendly environment close to the city centre. 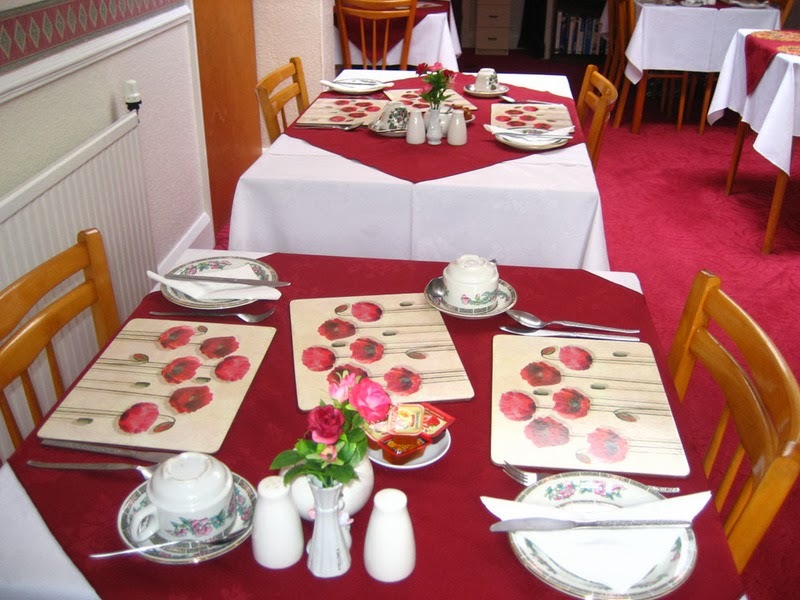 Our Edinburgh b&b is popular with wedding parties as well as those who come to enjoy one of the many events that this city hosts throughout the year. Hogmanay is always a fun time to be in the capital, so why not book early and get your new year off with a bang? 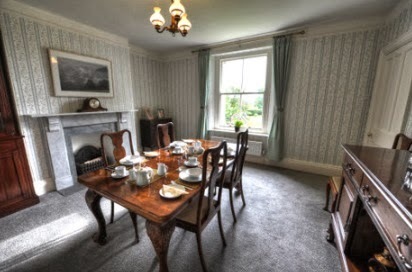 Edinburgh bed and breakfast accommodation is in demand on big occasions such as rugby tournaments and the Royal Highland Show, so please book now to make an early reservation. 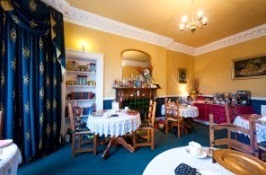 Ardleigh Guest House is an Edinburgh b&b establishment that takes pride in looking after our guests. If there is anything that would make your stay more comfortable, please let us know and we will endeavour to make you feel right at home. We appreciate it is important to be able to come and go when you please, so we will issue you with your own key on arrival. We look forward to welcoming you to Edinburgh and the Ardleigh Guest House in the very near future. 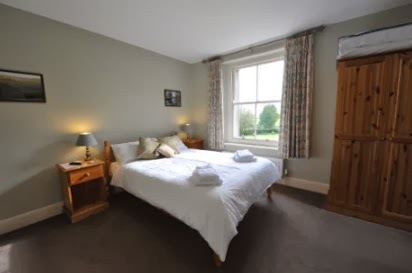 The Friendly Hound offers you a home away from home with three spacious en-suite rooms, hearty breakfasts, large gardens and superb views across the Northumberland countryside. Here you can enjoy refreshments in one of the garden rooms, after your day spent exploring Berwick-upon-Tweed, Holy Island and the nearby villages of Ford and Etal. We have three en-suite rooms all of which have been individually furnished and decorated to the highest standards with touches of luxury to add to your holiday experience. Whether you are looking for an activity holiday or simply seeking peace and quiet, you will find it here with us. The more adventurous of our guests will find a great selection of walks suitable either for the weekend rambler or experienced hiker, and Fishermen can enjoy excellent fishing on the River Till. 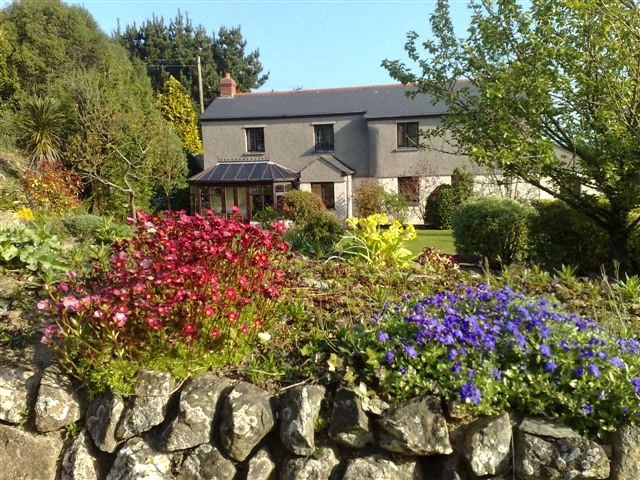 Offering both farmhouse Bed and Breakfast (B & B) and Self-catering accommodation Dorset Farm nestles in beautiful countryside near Launceston, the old capital of Cornwall. After a great night’s sleep you can listen to the dawn chorus (with the window open!) then come down to a traditional farmhouse breakfast which will set you up for the day ahead. We have a real suntrap in our conservatory which you are welcome to take advantage of. In addition there is a guests’ lounge with comfortable sofas to relax in. We are always happy to suggest places for you to explore and even though we are in wonderful Cornwall we won’t neglect to inform you about the delights of Devon, Dartmoor and dining. We are open all year round so why not think about out of season stays -they’re cheaper and for wildlife lovers there’s more chance to see that elusive deer or the kingfishers, partridges, rabbits and other flora and fauna. We enjoy the best of both worlds - great access from the A30, Exeter, Newquay or Plymouth Airports coupled with the tranquillity of an old Cornish farm. 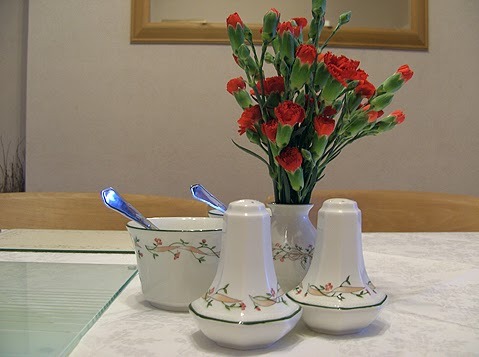 Avenue House Bed and Breakfast is a warm and friendly, traditional family run Guest House located within the beautiful English seaside town of Weymouth, on the South West coast of England. Providing comfortable B&B accommodation from £30 per person per night depending on the season, Avenue House is also ideally situated for exploring Weymouth's picturesque 17th century harbour, taking in the many varied attractions or enjoying the glorious sandy beach. Weymouth truly has something for everyone, history, art, culture, entertainment and some magnificent bars and restaurants. When night falls the town comes to life once more, so whether you are enjoying a delicious meal whilst soaking up Weymouth's harbour atmosphere or having fun watching the Sea Festival, Carnival and Show Night, you'll certainly be glad you came. "A Room with a View" Altarnun is situated in a quiet, peaceful location facing south with glorious views of both Bodmin Moor & Dartmoor. Just 8 miles from the historic town of Launceston, 12 miles east of Bodmin & only a Half hour drive from the Eden Project, Conveniently situated for both north & south coasts and only 2 miles from Daphne Du Maurier's "Jamaica Inn". We offer comfortable accommodation with T.V. 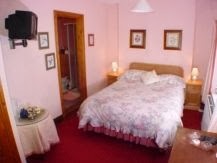 and tea making facilities in double room with own private bathroom or a twin room with en suite shower room. We enjoy sharing our home with those that take pleasure in beautiful countryside whatever the weather. We are ideally situated for walkers, cyclists, visitors with family and/or friends in the area or those just passing through. 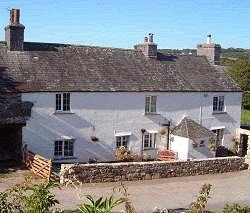 Callisham Farm is a traditional granite and stone built farmhouse nestling in the very pretty valley of Meavy, in the Dartmoor National Park. This traditional homely farm offers peace and tranquillity amongst pretty woodland and babbling brooks. The family run hill farm is surrounded by excellent walking country. 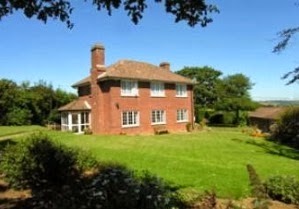 It is also an ideal centre for fishing, golfing, cycling and touring the beautiful coasts of Devon and Cornwall. The historic port of Plymouth is 12 miles away to the south and the ancient stannary town of Tavistock 7 miles to the north. Plymouth has good transport links, main line railway station, bus station (including national travel), connection to the motorway system via the A38 and M5, plus ferry link to France and Spain. 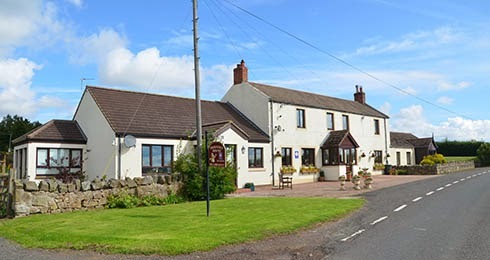 Meavy village, with its picturesque village green, 12th century church and the famous 800 year old Royal Oak Inn, is only half a mile away by road or a short stroll of a quarter mile across the fields. A country cottage only a mile from St Ives Bay. In a secluded valley, Bostrase is perfect for that ‘get away from it all’ feeling and that peaceful nights sleep. 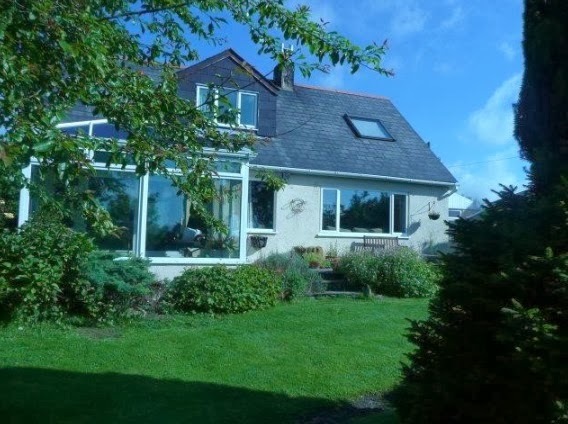 It is a superb location, whether away for business or on holiday, with easy access to the A30. 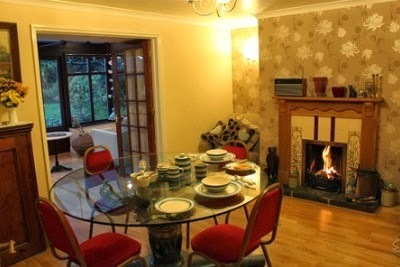 We are a cosy 4* B&B, so very different to a 4* Hotel. Being a cottage, our rooms are not huge. It's all about our large comfy beds with fresh cotton bed linen. The mature gardens and orchard have various seating areas, perfect to sit and relax with a glass of wine, or a bottle of beer, weather permitting. Although we are on the outskirts of Hayle, we recommend, that you have your own transport. Or should you prefer to travel down to Cornwall by train, we can give you details, to arrange car hire, prior to your visit. 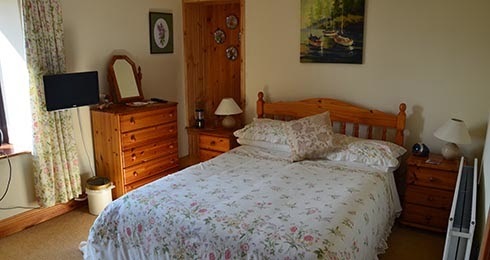 Our home is an established four guest bedroomed Bed & Breakfast located 5 km/3 miles west of Dingle town on the R559 Slea Head Drive. All the bedrooms are en suite and three have sea-view. 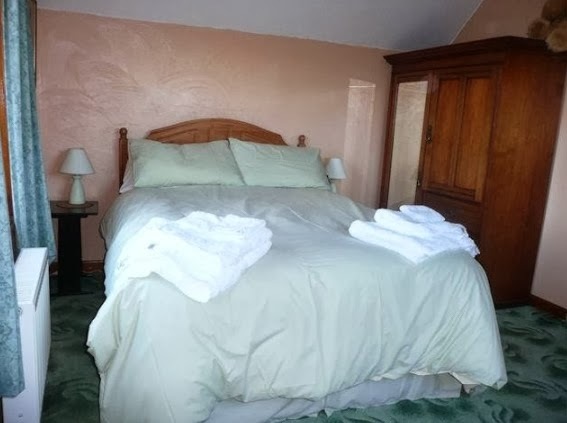 Triple rooms offer king / queen size beds. 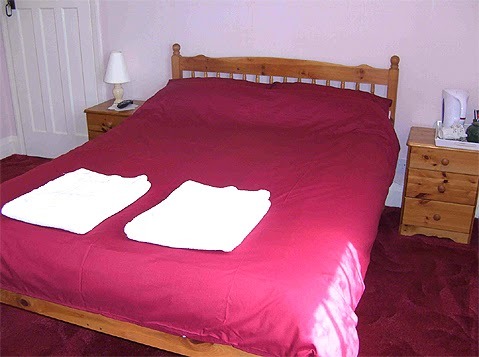 We offer you a peaceful accommodation in our double, twin or triple rooms all with their own private facilities. We have two mountain bikes for hire (one ladies and one mens). We also offer you a large choice of Breakfast dishes and we cater for vegetarians. Our home is located 3km west of Dingle town on the R559 Slea Head Drive. Nearby: The Food & Wine Festival in Dingle is in October 2014, Music Festival, Dingle Peninsular, Big Tourist Information Centre, Kayaking, Rocking Climbing, Boat Trips and The Blasket Islands. 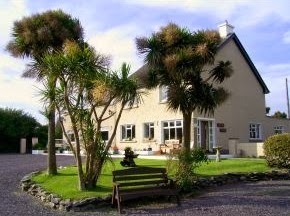 Avarest has been appointed as a 4 Star Irish Home B&B by Failte Ireland, the Irish National Tourism Body. Our magnificent purpose-built guesthouse guarantees a warm friendly welcome awaits you. Exquisitely decorated spacious rooms with en-suite bathrooms set the mood for comfort and relaxation. Free Wi-Fi internet access throughout. We are a family run Bed & Breakfast, at our Irish home you can expect personal attention and genuine concern for your needs. Whether on a romantic getaway, a family vacation or travelling as part of a group (large or small) we have rooms to suit all. Situated off the main dual carriageway between Ennis and Limerick we are ideally located as a base for touring the West Coast of Ireland. 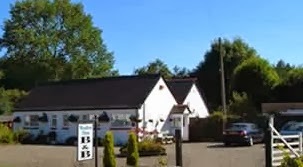 We are 5-10 minutes drive from Shannon International Airport and only 5 minutes from the famous Bunratty Castle, Folk Park and of course Durty Nellys Pub. Paul and Joy would like to welcome you to their friendly bed and breakfast in Cenarth. We invite you to enjoy the warm welcome and home-from-home atmosphere at Meadowview, which is located overlooking the famous river Teifi, with its world famous salmon leap waterfall and the National Coracle Centre. 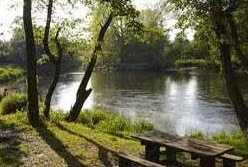 Meadowview is the ideal location for fishing, walking and visiting the endless popular attractions in West Wales. We are on a Site of Special Interest protected by the Countryside Council of Wales with rare bats, otters, kingfishers and dippers among the wildlife occasionally seen from our very own river bank. as confirmed by the 'MCS Good Beach Guide'. Our B&B accommodation is newly built, in traditional stone, adjoining Pentre Farm-house. All the rooms have been designed and furnished to a very high standard. They are light, spacious and very comfortable for an overnight stop or a longer stay. Pentre is surrounded by lovely countryside and lots of fun activities and attractions including castles, country parks, adventure centres, golf courses, hiking, climbing, canoeing and the lovely beaches of Swansea Bay, Mumbles & Gower. At Pentre, you will receive a Welcome Pack containing detailed information on things to see and do during your stay. In the meantime, the following is a small selection of what our area has to offer! 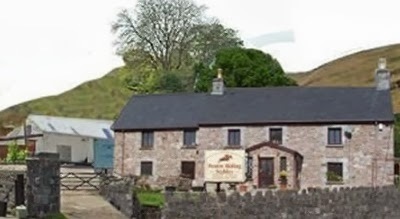 We are located directly opposite Craig-y-Nos Castle, with the National Show Caves of Wales just down the road at Dan-yr-Ogof, and are a working riding stables, where pony trekking and horse riding lessons are always available for the guests to book. 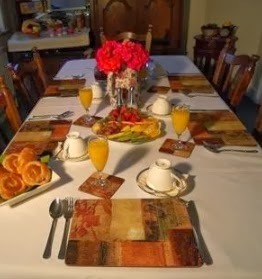 Are you looking for a comfortable bed and breakfast in Cambridge with a personal touch? 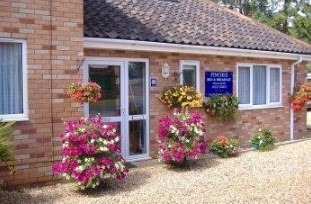 Finches offer high quality bed and breakfast with a personalised service and friendly atmosphere. An ideal base for touring and exploring this beautiful University City of Cambridge and the surrounding towns and countryside. Helping guests to unwind our service and excellent accommodation is guaranteed to make for an enjoyable stay. Easily accessible and offering free off street parking, Finches is located in a quiet residential area, conveniently situated within walking distance to the vibrant and eclectic Cambridge city centre, rich in culture and art. Primarily famous for its colleges, but also offering a diverse choice of restaurants, bars and shops to suit all tastes. As a member of VisitEngland’s assessment scheme, in recognition of exceptional quality in all areas, Finches has been given a 4 Star Award plus the unique Silver Award for their high standards of cleanliness and service. Finches BnB has also been award 5 Stars by the Environmental Health Service for excellent food safety management.